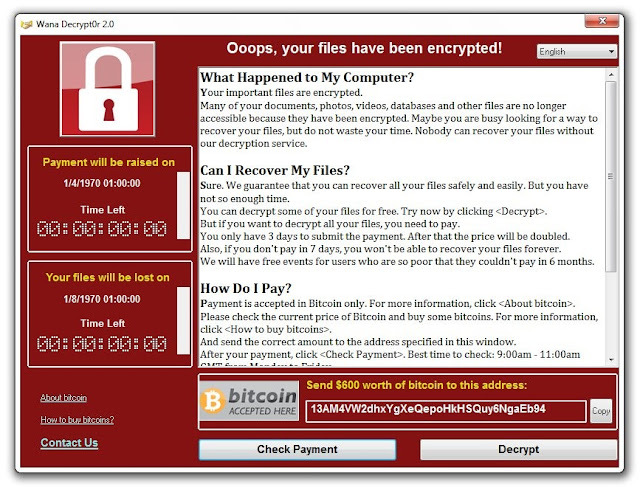 It has been reported that a new ransomware named as "Wannacry" is spreading widely. Wannacry encrypts the files on infected Windows systems. This ransomware spreads by using a vulnerability in implementations of Server Message Block (SMB) in Windows systems. This exploit is named as ETERNALBLUE. Commonly used office file extensions (.ppt, .doc, .docx, .xlsx, .sxi).Less common and nation-specific office formats (.sxw, .odt, .hwp).Archives, media files (.zip, .rar, .tar, .bz2, .mp4, .mkv)Emails and email databases (.eml, .msg, .ost, .pst, .edb).Database files (.sql, .accdb, .mdb, .dbf, .odb, .myd).Developers' sourcecode and project files (.php, .java, .cpp, .pas, .asm).Encryption keys and certificates (.key, .pfx, .pem, .p12, .csr, .gpg, .aes).Graphic designers, artists and photographers files (.vsd, .odg, .raw, .nef, .svg, .psd).Virtual machine files (.vmx, .vmdk, .vdi). 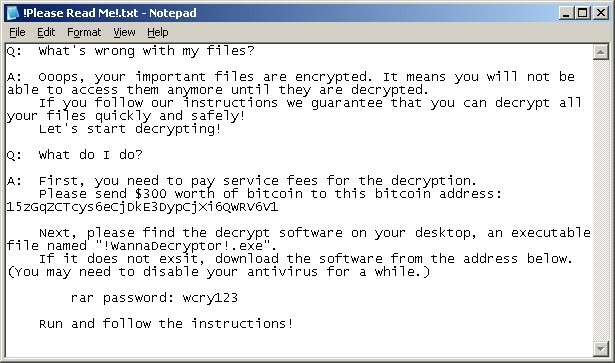 description = "WannaCry Ransomware strings"